More than just decorative extras, our complete range of sauna accessories will enhance your wellness experience and take your well-being to new heights. 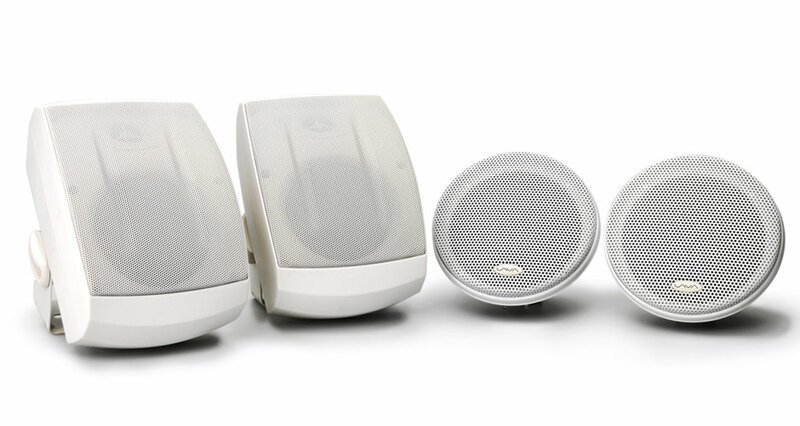 We all know it’s the little things that matter, so why not choose a few little extras from our extensive selection. 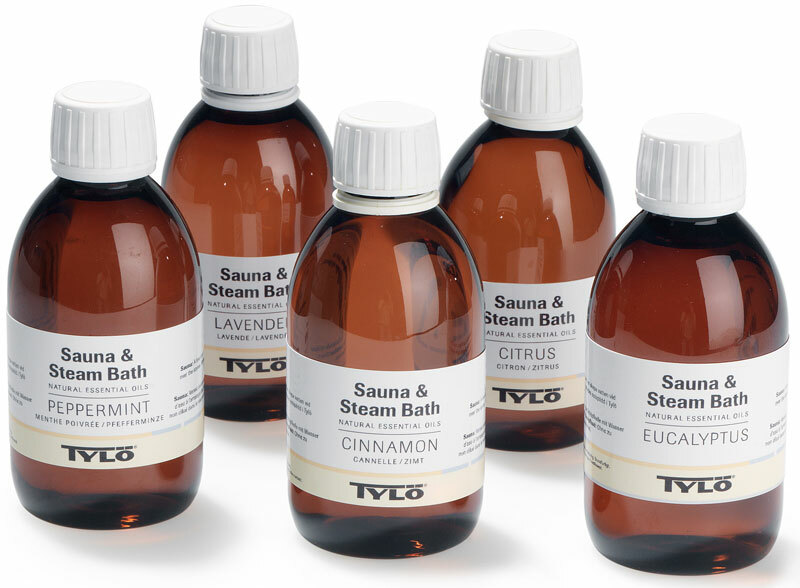 Doing so will give your sauna experience a certain uniqueness. Choose below from a myriad of stunningly designed sauna accessories and parts from the TyloHelo brand. We can supply complete sauna accessory sets which include bucket, ladle, thermometer and hourglass. You can also buy each accessory individually. Many accessories are available in dark or light wood or stainless steel. 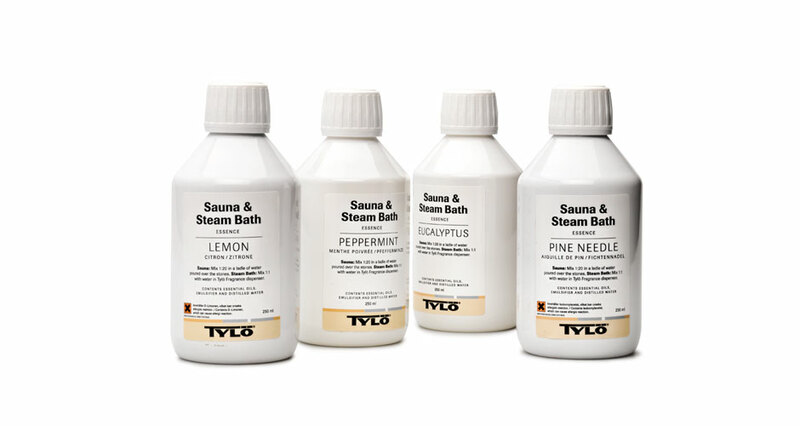 Our complete sauna sets include everything you need for the perfect sauna experience. 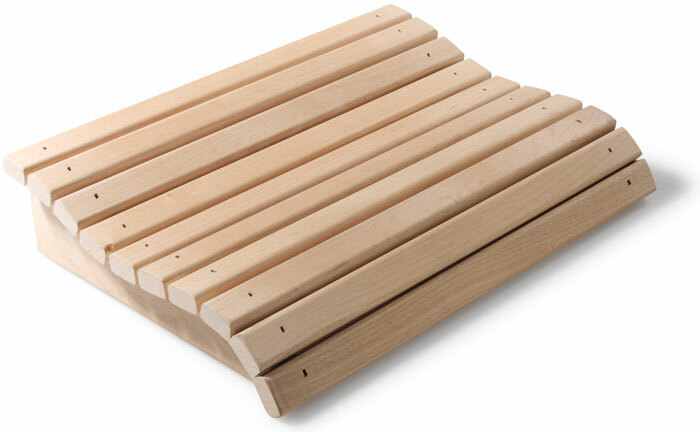 These beautiful sauna accessory sets are incredibly well-designed, remarkably durable and can be purchased in light wood, dark wood or stainless steel. 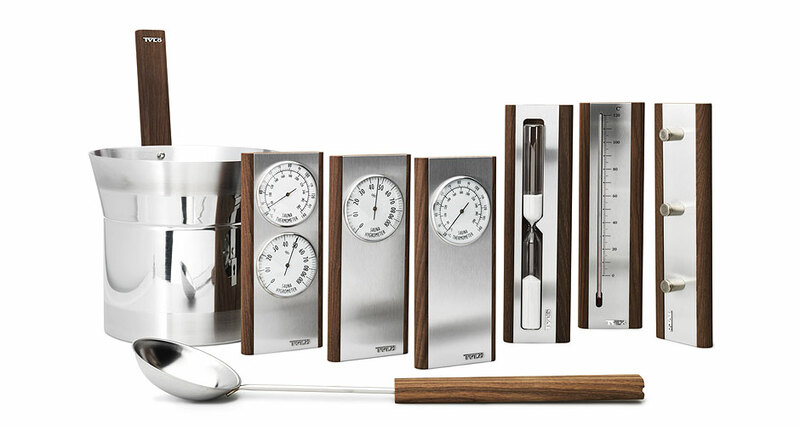 In each full set of sauna accessories you get a bucket, ladle, towel rack thermometer, hygrometer and hourglass. 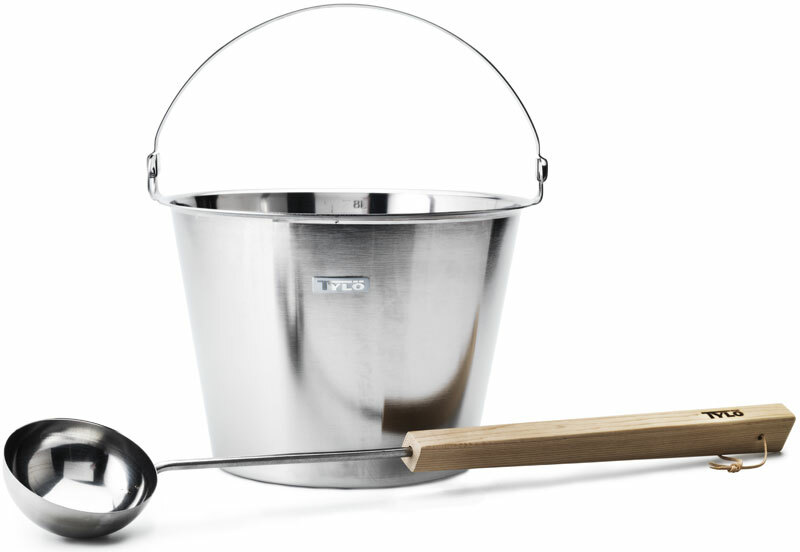 If you’re just after a sauna bucket and ladle set look no further than our stunning range from Tylo. The sauna buckets have a practical plastic insert and hold around a gallon of water. We have stainless steel sauna buckets or dark and light wood ranges to choose from. BWT or ‘bio water technology’ is the latest innovation from Helo. Essentially it is a sauna heater insert that can provide a range of sauna experiences. Choose from treatments such as aromatherapy, mineral salt delivery, soft sauna experience, hot or dry sauna and much more. Lighting your sauna perfectly can enhance the overall experience tremendously. Our range of Tylo sauna lights are perfect for creating that extra bit of mood and ambience and can be fitted fairly easily in any home or commercial sauna room. If you require something more bespoke we can come to your home or commercial premises and fit a range of downlights, chromotherapy lights, backrest lighting and much more. Many of our sauna heaters come with chambers for adding aromatherapy oils and concentrated fragrances to enliven your sauna further enhance your wellness experience. 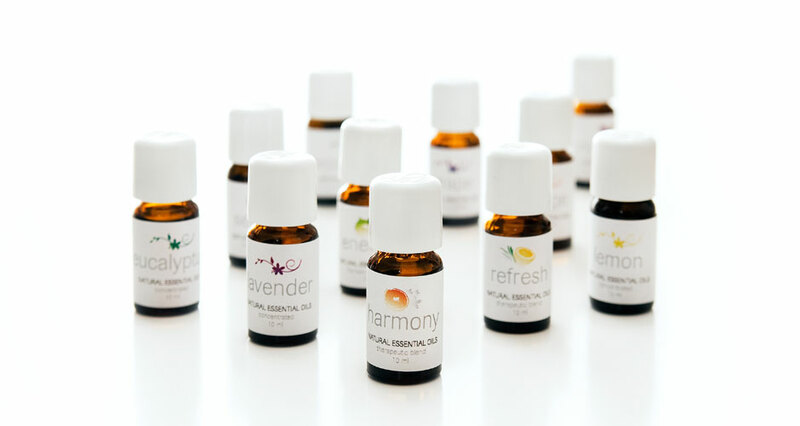 These can be purchased in packs of mixed fragrances or if you love a certain fragrances you can purchase a larger bottle of concentrated sauna oil. 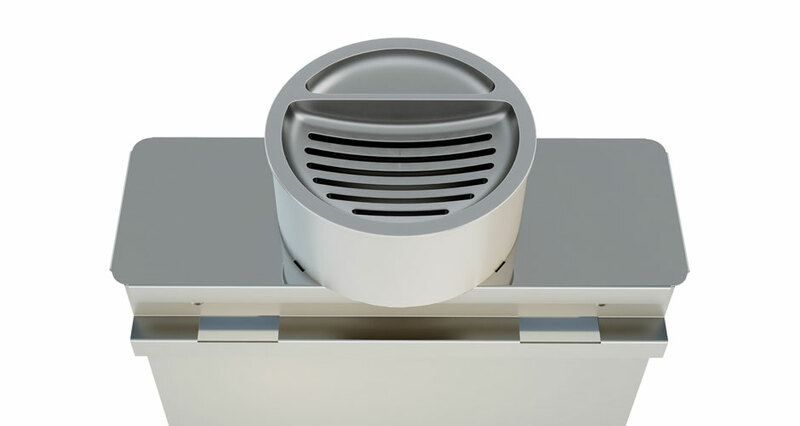 Although with most of our sauna heaters you get the correct amount of stones, sometimes you may have bought a heater from somewhere else and need to buy sauna stones separately. 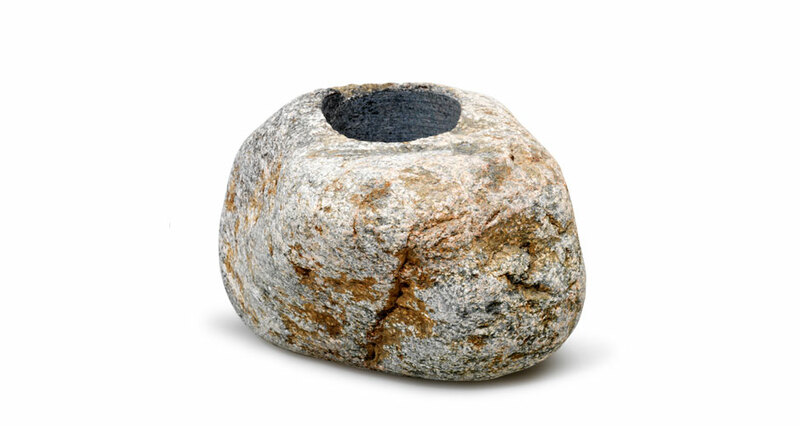 Each carton of sauna stones contains approximately 14kg and are natural igneous dolerite rock (black diabase) that are perfect for quick heating. 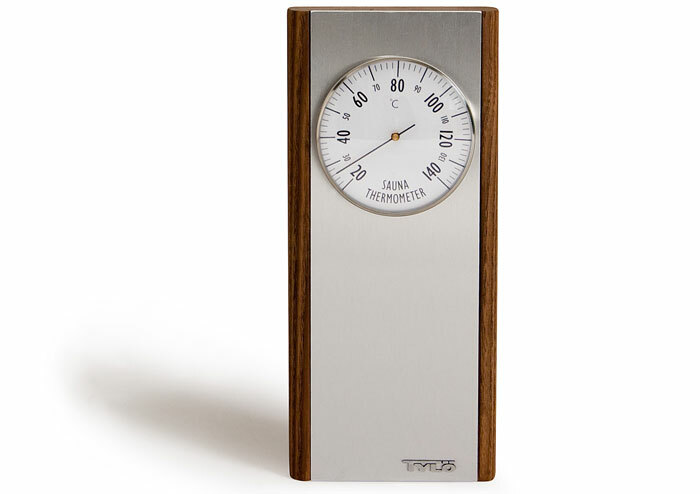 Our Tylo sauna thermometers are some of the best quality available. Along with most products in the Tylo accessories range, you can choose from light or dark woods plus there’s a stainless steel option too. For the perfect sauna you’re going to need to measure humidity as well as temperature. 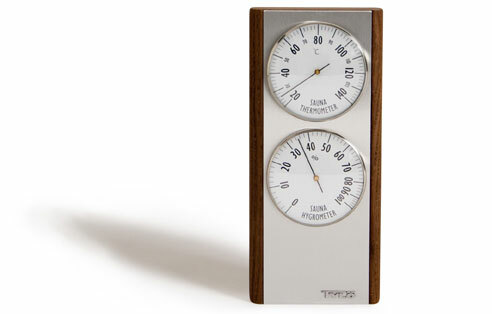 Our Tylo hygrometers are of exceptional quality and will the amount of water vapour in the air perfectly. 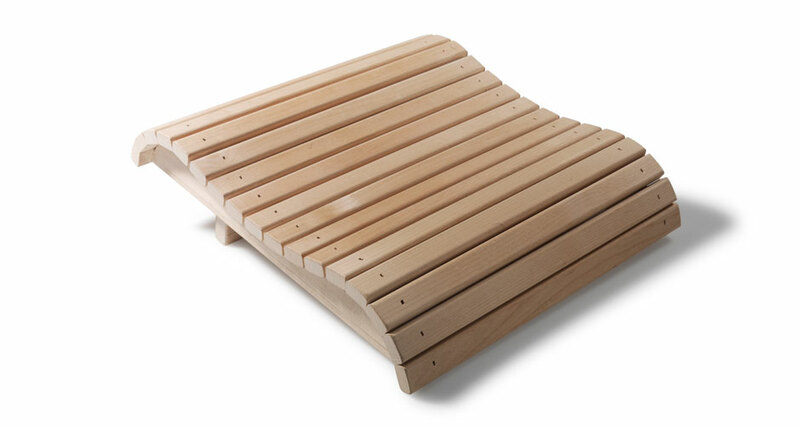 Our range of Tylo towel racks are perfect for any size sauna. 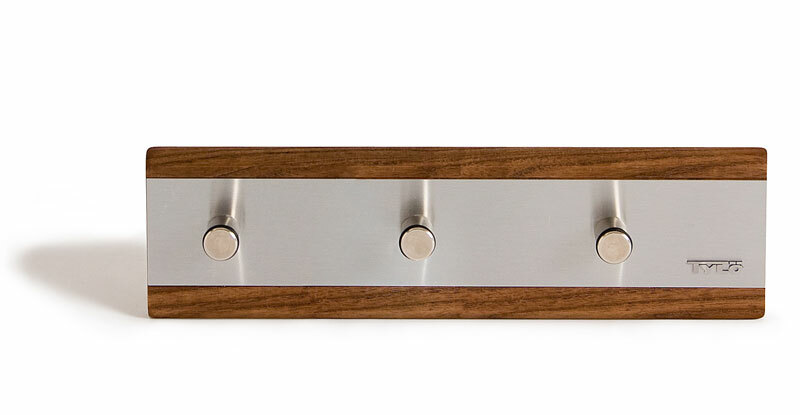 Manufactured to a very high quality, these sauna towel racks can be purchased in light or dark wood with stainless steel accents for extra durability. 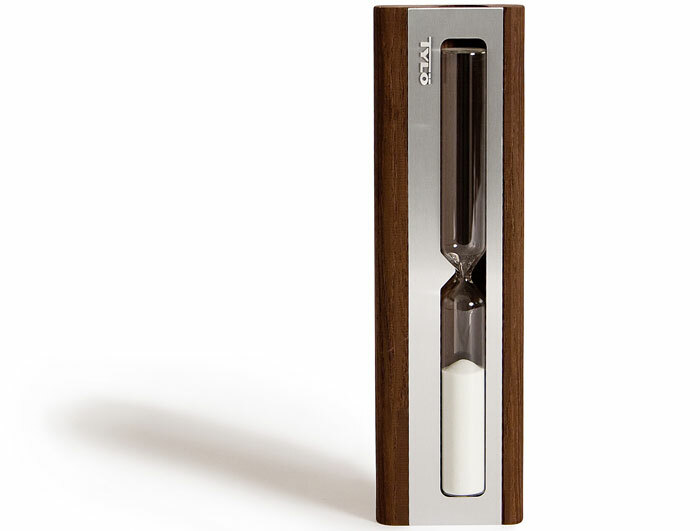 Tylo hourglasses are available in light or dark wood, the glass tube contains white sand which can be taken out and rotated every fifteen minutes. Consequently, there’s no better way to time your enjoyment of your traditional sauna experience. Our Tylo sauna headrests are a fixed size of 37.5 x 27 x 8cm and expertly manufactured from smooth, thin strips of high quality aspen wood. 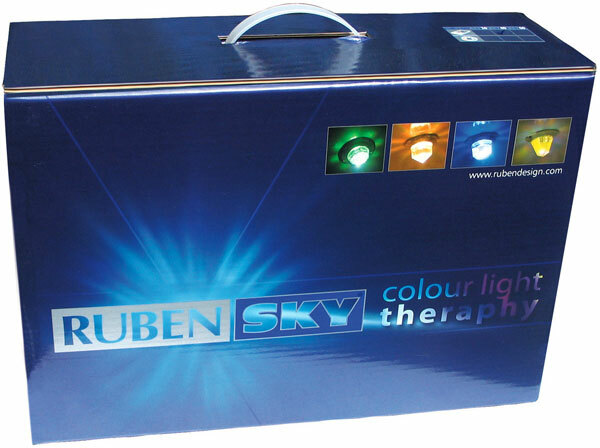 As a result, they are perfect for extra relaxation during your wellness treatment.